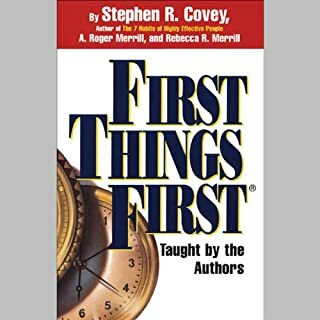 This is a disappointing regurgitation of other Covey materials which are best covered in the 7 Habits and First Things First. The format of this audio is a workshop which is presented by Steve Jones who, although billed as a master facilitator, sounds pretty prescriptive and judgemental in places. 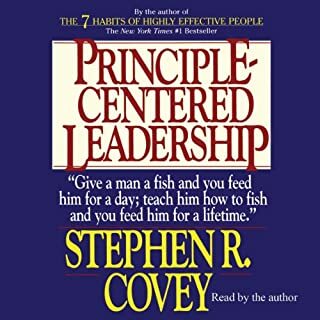 The promotion and importance of being values driven is great but the solicitation of personal values requires skilful facilitation and was not covered to sufficient depth. 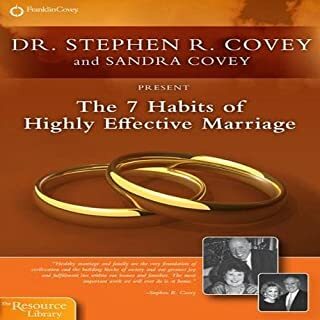 Stephen Covey only features in sound bite clips, this was disappointing, my recommendation is don?t bother with this audio. 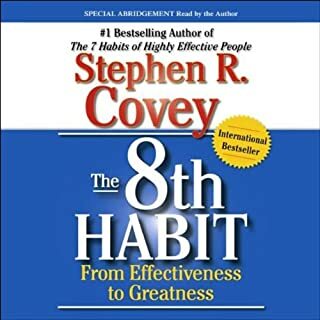 The 7 Habits are worthy of the iconic status they enjoy and even the 8th Habit is worthy but the planning issues covered here are best delivered in a real workshop or in the Book First things First. 1. It is not an audiobook but rather a recording of a lecture, so I felt hard done by having to pay for something which isn't even a book. 2. Because it is a recording of a workshop at times it is hard to follow what they are saying as you can tell they are referring to things you can see. 3. The narration is extremely monotone and at times when the audience speaks you can't hear them. 4. I am an avid planner already with my week, month, day and two month planners but I feel like they take it to the extreme a bit. Overall not my cup of teah and quite unhappy with my experience. 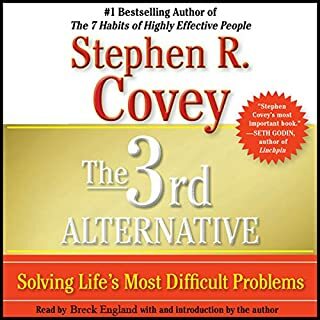 This book promotes prioritising your goals, planning and getting rid of things to do that don't have any value for you. Which makes a good practical tool if you are disciplined enough to put what they advised into practice. Performance sometimes is poor as they cut audio from a real workshop where they use visual so sometimes you just seat and wait when student will get ready to say something about a table you cannot see (well, it's easy to guess what is quadrant 1,2,3,4 or remember from what was said 10 minutes ago, but in my opinion they should have more respect towards listeners and make a proper content for us). 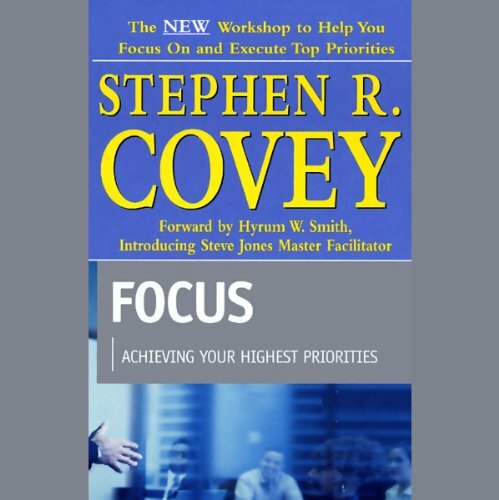 I found few useful tools about planning and prioritising though I don't find this book also inspiring and deep enough. They talk about prioritising your goals, but Examples given are about emails and stuff like that. Percentage of really useful information for me personally... I would say 3%. Not breathtaking, but I still don't regret and in fact these 3% could probably change many things if knowledge will be applied by listener. 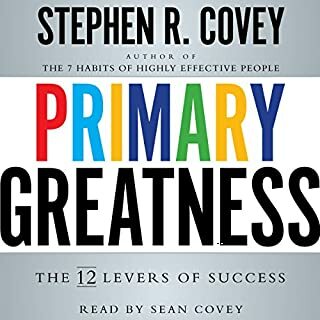 This audio book attempts to operationalise the concept of time management as outlined in the "7 habits of effective people". However it fails as it refers to, quite extensively, to the use of Palm devices and a paper based tool/planner to achieve the implementation of the habit. This requires the listener to then translate the presenter's goals into useful habits for 2018. Whilst this is easily achieved, it is not expected for the cost of the audio book.